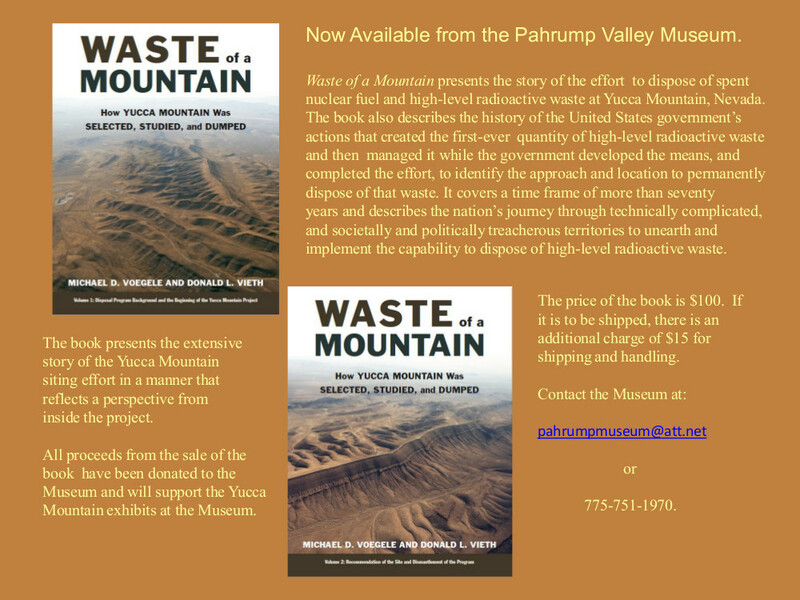 At this time we do not ship from our gift store with the exception of the book "Waste of a Mountain". But come in and browse around, you just might find a piece of Nevada History. Belt buckles, post cards, Nye County History Books and much more. We also carry many free publications.